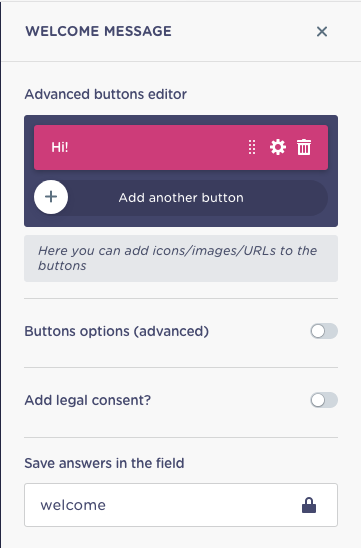 Landbot Help - What&apos;s new in the Builder 3? All Categories ​>​ Landbot v3 (Bricks) ​>​ Builder 3 & Bricks (Beta) ​>​ What&apos;s new in the Builder 3? 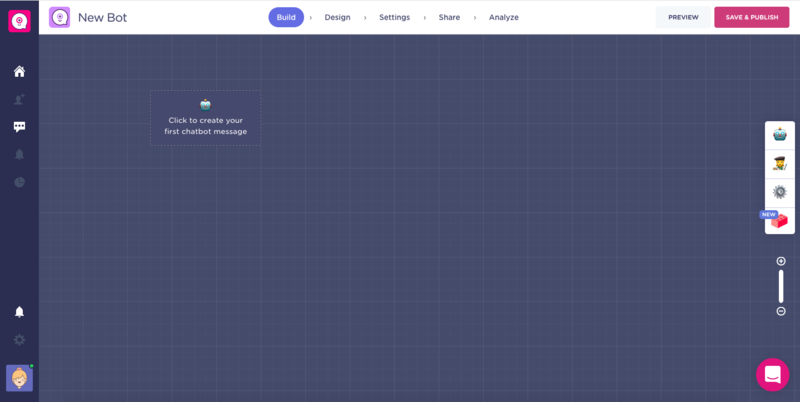 What&apos;s new in the Builder 3? Welcome to our newly improved Builder, check out all the novelties we have prepared. We know you have been waiting for this one a long time. You can finally make groups of blocks and save them to use in other bots! 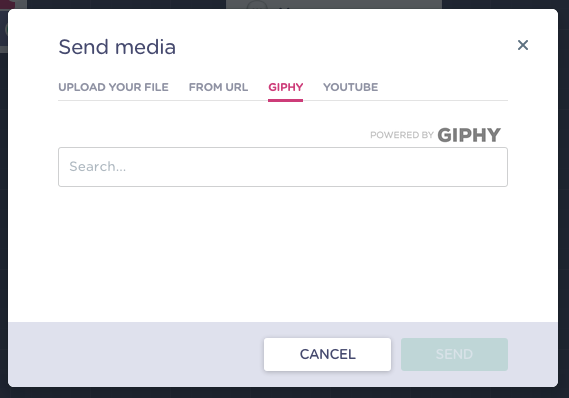 Using GIFs was never easier! But wait, your links will also be ready in just a few clicks! 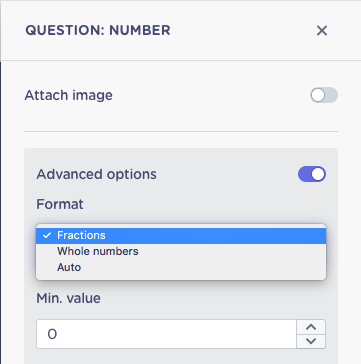 Better and complex numbers to use in your calculations thanks to the advanced options, you decide if you want to use decimals or not! 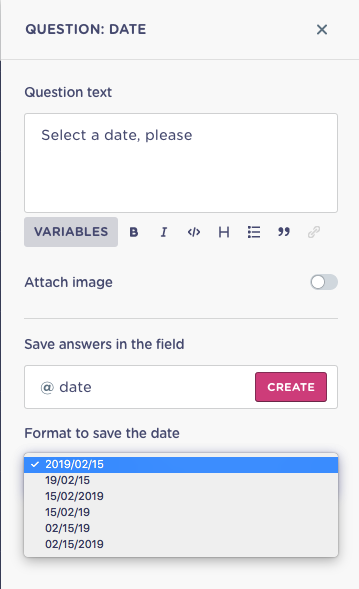 Check out our new DatePicker with different formats! Want to share only the Chat section? Or just want your colleagues to see the bots? It doesn't matter, you can control it as you want! 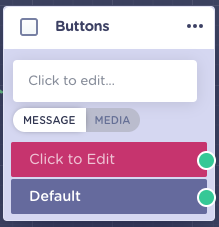 Welcome Message: more editing options to make it more personalised. New Blocks structure: you will find all blocks have been grouped into different categories. Simple Message. Send simple text messages to your visitors and talk to them. Format your text (bold, italic, "quote", etc) to make it look great! Buttons. Who needs AI when you have buttons? 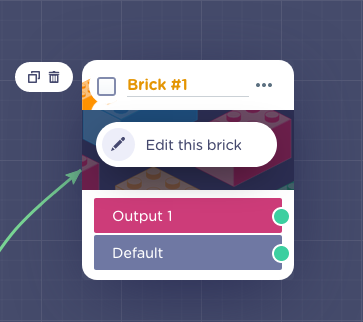 Add them to your blocks by creating Buttons type blocks and connect each option to a specific path to customize the experience. Questions. Ask anything in the most dynamic, engaging way possible. 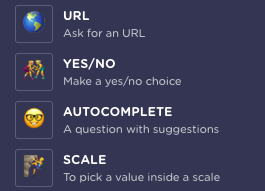 From Yes/No questions to Email, Scale, Ratings or Addresses, ask anything anytime! Media. If an image is worth more than a thousand words... A GIF is worth more than a thousand images! Add media to your bot and enrich the experience. Goodbye message. 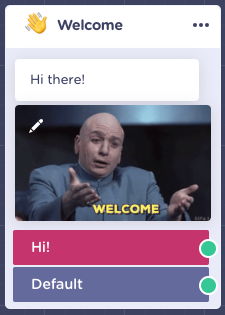 Because we all love happy endings, add a Goodbye Message to your bot and allow your users to share your creation, restart the conversation or be redirected to any other website! Human Takeover. Takeover conversations when necessary and close deals in real-time with this power-up! Archive Chat. 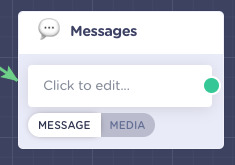 Use this power-up to automatically close conversations as your visitors reach the block and keep your inbox tidy! 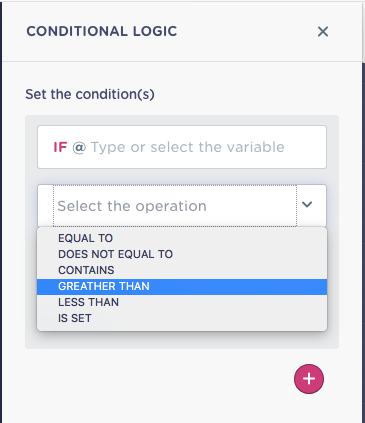 Conditions (Conditional Logic). Don't want "Gmail" users to fill your CRM? 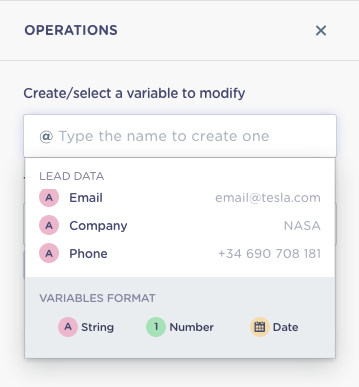 Set a condition to filter them and get to the most valuable leads! Set Variable. Perform calculations and transform your little chatbot into a powerful quizz - or product recommendator - your visitors will love! Code. 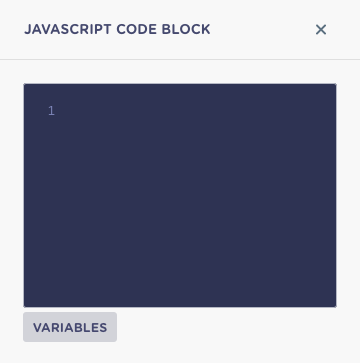 Now, code snippets have their very own block. Use it to take your landbot's functionalities to a whole new level! AB Test. If you're into marketing, you already know how powerful this can be: split your traffic into two groups - adding a custom percentage for each - and discover which path performs better in no time! Persistent Menu. 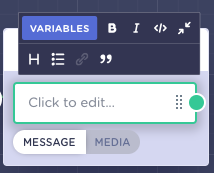 Yes, we all love conversations, but adding some little buttons to your landbot's header that 1. redirect to an external URL or 2. take your users to a certain block within your flow helps keeping the process efficient. Webhook. 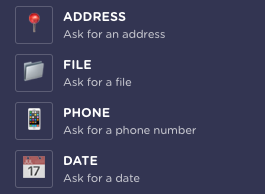 Send information collected by landbot to any given URL, and bring back a response! Email Notification. 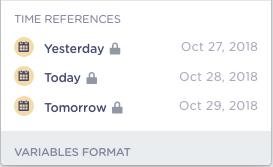 Get notified through email every time someone completes a conversation so you don't even need to log into landbot! 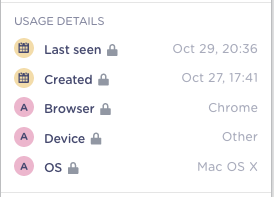 Zapier. 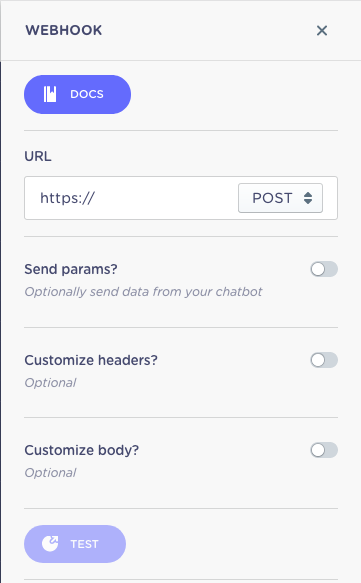 Landbot is an official app from the Zapier's directory, which means you can connect it to +1,000 apps with just a few clicks! 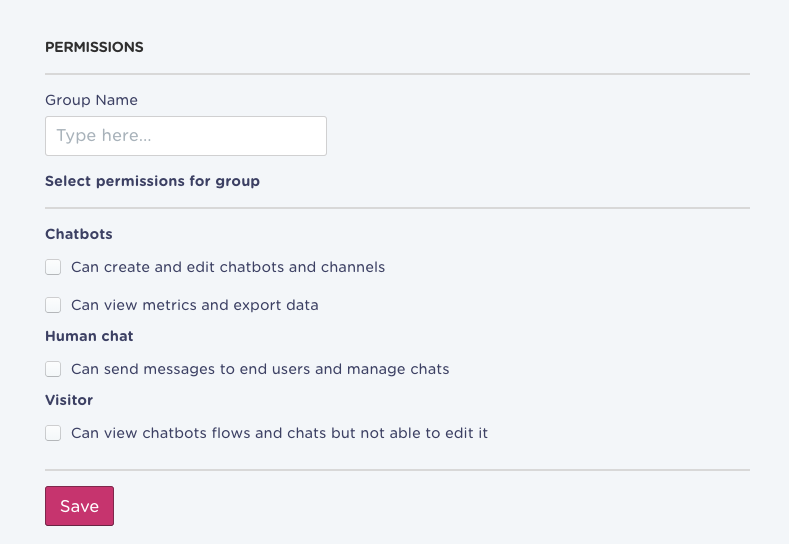 Trigger actions for every new landbot conversation and have all your stack seamlessly synched. Slack (Notification). 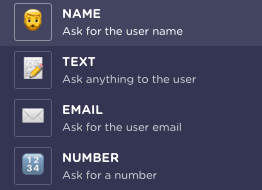 Get notified through Slack every time someone completes a conversation so you don't even need to log into landbot! Stripe. Configure payments and make money out of each conversation! Integrate your Stripe account and generate payments for your hottest visitors! Google Analytics. Since Landbot is all about conversion, it makes sense to integrate it with GA to track every single one. Make sure you don't miss a single rate! Google Sheets. Our most powerful integration yet: send data to Google Sheets, look for it or update any sheet you like with this amazing integration. Oh, did we mention Google Sheets is actually free?